jChart is a full customizable, portable script with all basic and advance features required for building application that can help you creating any level of organizational charts in real time, print it, export it as pdf or share it with others online. Its written in pure jQuery with backened api in core php for saving and loading data in database. You can easily translate api in any language to extend its support in any platform or framework you are using or integrating with. jChart allows you to generate flow charts, organizational charts with unlimited nodes and connections dynamically. 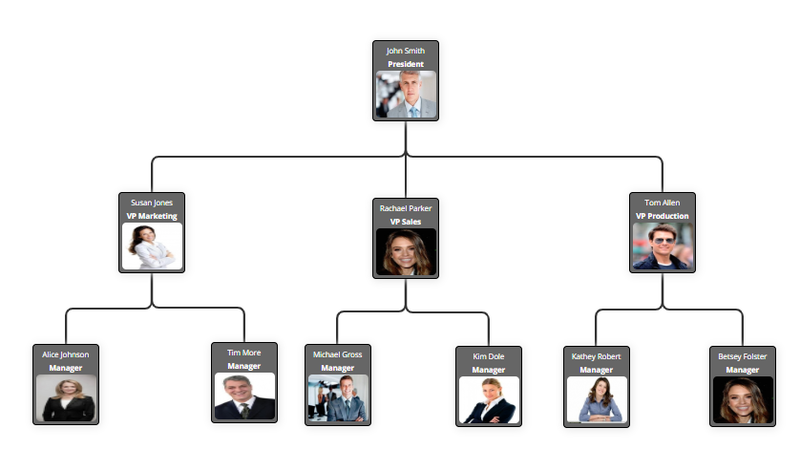 jChart support growing hierarchy of nodes (parent child) on both top and bottom direction. Easy to use, extend and customizable script to meet with any type of chart building requirements. jChart allow you to add childe nodes on any direction. List of directions provided below. it allows you to save & load chart information in database. Each node & its position information settings. You have complete control on whole UI customization of jChart.